The Experimental Lakes are Saved; Can we do the same for the planet? Some alarming climate change facts on Thomas Stocker’s Power Point. 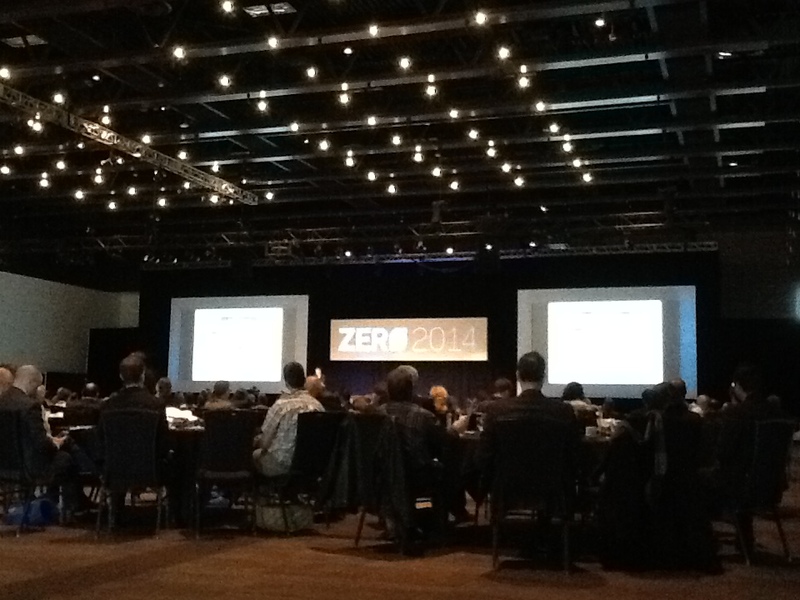 Terra Informa attended the Zero 2014 Conference in Edmonton and discussed some hot-button issues–the experimental lakes region, and, well, climate change. Scott Vaughn of the International Institute for Sustainable Development (IISD) reflects on Experimental Lakes’ history , and future. 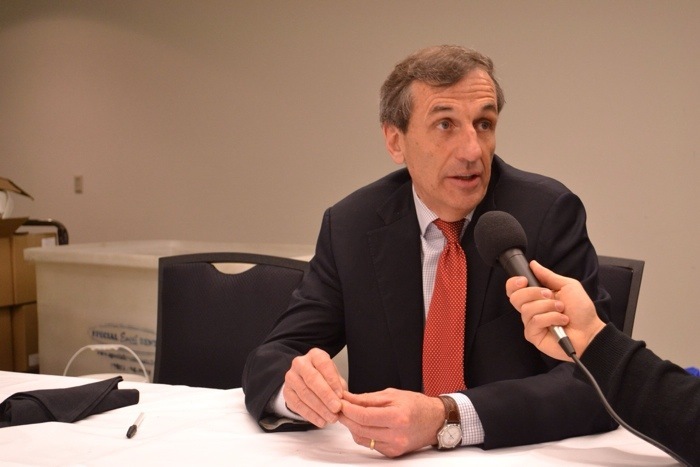 Thomas Stocker of the Intergovernmental Panel on Climate Change (IPCC) muses on its newly-released fifth assessment report and the reactions to it. We’ve got the Small(er) Picture environmental concern coalescing into the Big Picture, but it’s all crucial. Scott Vaughan is President and CEO of the International Institute for Sustainable Development (IISD), which just took over the Experimental Lakes Area. The Experimental Lakes Area in northern Ontario is one of Canada’s best known scientific research facilities. This April, they got something to celebrate: The International Institute for Sustainable Development (IISD) will become the new operator of the ELA, with support from the Ontario and Manitoba governments. Scott Vaughan is the new CEO and President of the International Institute for Sustainable Development. Terra Informa’s Chris Chang-Yen Phillips sat down with him recently at the Zero 2014 sustainability conference in Edmonton to discuss how the year of upheaval will affect the research at the ELA, and what he learned about the federal government’s attitude towards research during his time as Canada’s Commissioner of Environment and Sustainable Development. The report starts by answering the most basic scientific questions on climate change: is it happening? Yes. Warming of the climate is unequivocal. Are humans to blame? Yes. In fact, according to this new report, it is extremely likely that we are to blame. Pulling together just this first chapter took scientists three years and brought together the work of 200 lead authors. Over 50,000 comments were collected from over a thousand reviewers. One of the people responsible for managing this massive effort was co-chair Thomas Stocker, one of the world’s leading climate scientists. During the Zero 2014 conference he met with Trevor Chow-Fraser to chat about his role in the report’s release and reception by the world community. On Saturday, May 10 from 9:30 AM to 2:00 PM, the Saint John Naturalists’ Club will present a Spring Warbler Identification Workshop and field trip at the Interpretation Centre. The morning workshop, led by expert birder Jim Wilson, will focus on colour, bold patterns, song and habitats. It is perfect timing to prepare for the arrival of this intriguing and beautiful group of song birds.As seats are limited, please pre-register with Joanne by calling (506) 847-4245 or emailing her at davesavage@rogers.com . Bring your bag lunch and binoculars. Refreshments available. Established in 1962, the Saint John Naturalists’ Club welcomes everyone interested in the study, conservation, and enjoyment of nature in New Brunswick. From 10:00 am-4:00 pm at regular admission, bird lovers will be delighted by this Explorer Saturday at the New Brunswick Museum. Discover the life and trials of New Brunswick birds through the collections of the NBM, in both French and English. For more information, contact (506) 643-2300 or check out the museum’s site. The City of Belleville and The Hastings Stewardship Council are hosting a Free Tree Seedling Giveaway on Saturday May 3, 2014 from 8:00 a.m. – 11:00 a.m. It’s BYOB, as in bring your own buckets! Find out more here. Have you ever wanted to help save the planet but didn’t know where to start? Have you ever wished you had a few more skills in your toolbox or knew a few more like minded folks? On June 8th, Greenpeace is giving you the opportunity to put a few more tools in your activist toolbox. The tar sands action camp is a three day event for both the seasoned veteran and the person just hoping to get started. You can meet new like-minded folks and learn different strategies for getting engaged. The camp explores issues but more importantly gives you the tools to do something about them. Workshops will cover everything from environmental justice and volunteer recruitment, media and messaging, non-violent direct action and campaign planning. On May 10th, the Sierra Club of BC and Wilderness Committee are hosting a National Day of Action. The event is starting at 12:30 p.m with music at the Beacon Hill Bandshell and a march ending at the Legislature Building around 2:30, with discussions at 3:30 at the James Bay community school centre to follow. Speakers will be addressing Kinder Morgan’s proposed TransMountain tar sands pipeline to Burnaby, and the proposed Enbridge Northern Gateway Pipeline to Kitimat. The Federal Cabinet is expected to make a decision in June on Northern Gateway, so organizers say now is the time to make voices heard. After the rally, they’re inviting everyone to come inside and join the discussion, to build connections in the community, learn more about the issues, and plan the next steps. Contact 250-386-5255 ext. 243 for more information or check out our facebook or main site.